I decided to chicken out. The U.S. Embassy's official warnings of 'traffic disruptions and potential for increased crime' didn't exactly fill me with joy as I contemplated the Water Festival celebrations in Phnom Penh. The prospect of having to travel across the city for a gig or sound-check in the early evening seemed grim - given estimates of two to three million visitors travelling to Phnom Penh for the first official 'Om Touk' celebrations in four years. Television Ted and others told me I was crazy to miss it. Friends who were here during previous Water Festivals advised the best course of action: leave your valuables at home, empty your pockets to prevent a petty thief from emptying them for you, wear a broad smile and wade into the crowds. 'All of Cambodia comes to Phnom Penh'. Good luck guys. I decided to take a long bus ride to Ho Chi Minh City. 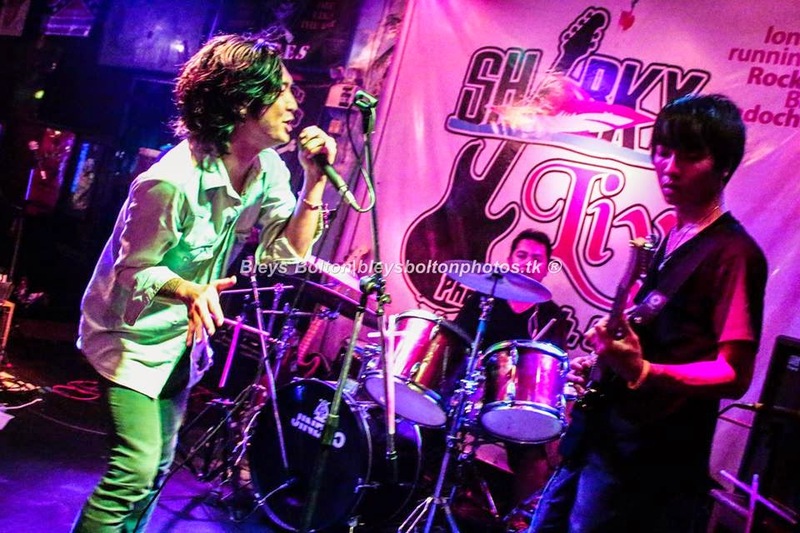 As a bonus, Splitter will be supported at Sharky Bar by Dirty Jacks, a new Cambodian garage-rock band fronted by the very unpredictable performer, Tin. Leng Pleng readers may remember Tin from Cambodian metal band Sliten6ix. Dirty Jacks have a very different sound from Sliten6ix, employing blues-rock or even rockabilly-style guitar riffs. The band are not playing original material yet but are covering obscure U.S. bands like Fiddlar. Dirty Jacks have a cool and interesting style and one hell of a frontman. One to watch. "The style of the band has been described as 'gothic lounge' and more recently as 'punk karaoke', at least by a few inebriated and perhaps ignorant music critics. The Arts Group is an ever-changing cast of characters that also does shows incorporating films of street photography of downtown NYC in the 1980's, as well as a few other places such as the wilds of New Jersey and the exciting town of Tonganoxie, Kansas. 9999 Arts Group will be doing a show at Meta House with electronic musicians from Thailand and Germany on Saturday the 8th of November at 9:00PM, followed by a brief set of rock and roll at Sharky Bar on the same night at 11:30PM [during the Zargz & TenTipz gig]. On Tuesday and Thursday nights from 6:30PM to 9:00PM they will entertain during 'Super Happy Hour' at the Slur Bar starting on Tuesday the 11th of November until Thursday the 4th of December. These shows will include at absolutely no charge a film screening, you also might win a free prize." Lafidki is the headline attraction at Meta House on Saturday night. 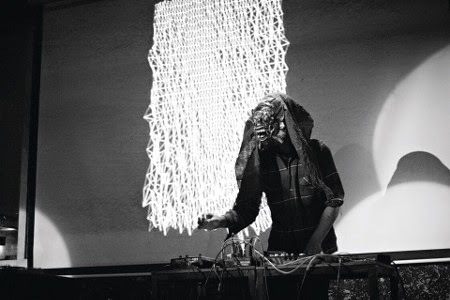 Also known as Saphy Vong, Lafidki is a Berlin-based sound and visual artist with a Cambodian background that is often seen messing around with abstract electronics, noise and sequenced multi-layered rhythms [see the Lafidki Facebook page]. Check out the live video below for an idea of what to expect from the Meta House show - entitled 'Metamorphosis'. Also check out the Lafidki bandcamp and soundcloud pages. Saturday promises to be a good opportunity to hear some very avant-garde and interesting music. In addition to the live set from Lafidki, the above-mentioned appearance by 9999 Arts Group and a Khmer 'Golden Era' set by DJ Sao Sopheak should make for a really great night. Whatever you're up to over the next few days, take care of yourself and... see you around the traps!